Lexy helps soldiers get help in therapy by keeping them company and brightening up the soldiers day. This is how Lexy helps soldiers in war. i think thats cute because a dog helps a soilder take out his stress. i guess the dog really is special to the soilder. 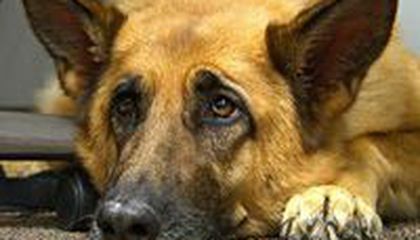 The story is all about a german shepherd that helps soldiers with stress. Lexy helps to calm soldiers. They soldiers pet Lexy to calm them down.This will help soldiers. That is good that therapy dogs help soldiers. That can help them cool down after army service in Iraq. Dogs are like man's best friends. 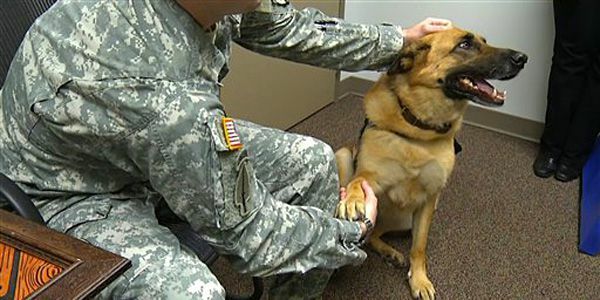 Dogs like Lexy can help soldiers with mental problems. Dogs are really helpful. This article is about a story of a therapy dog named Lexy who is 5 years old and is helping a soldier who is really depressed after being deployed. Thankfully the dog is helping the soldier feel better. Lexy helps the solders thats really cool to know that a dog can help a person can help someone with stress. Its good to know that they would help people. It helps the soldiers get calm, by letting them pet and do tricks with the dog. When a do is pet it calms both down the the soldier, and the dog.When the soldier is mad or frustrated the dob lets he or she pet or play with them or something. i think that Lexy helps the solders by being calm and listening so that the solders can say what they feel so that they are less traumatized and they can probably get more help like that so they don't feel so lost and they can express them selves.